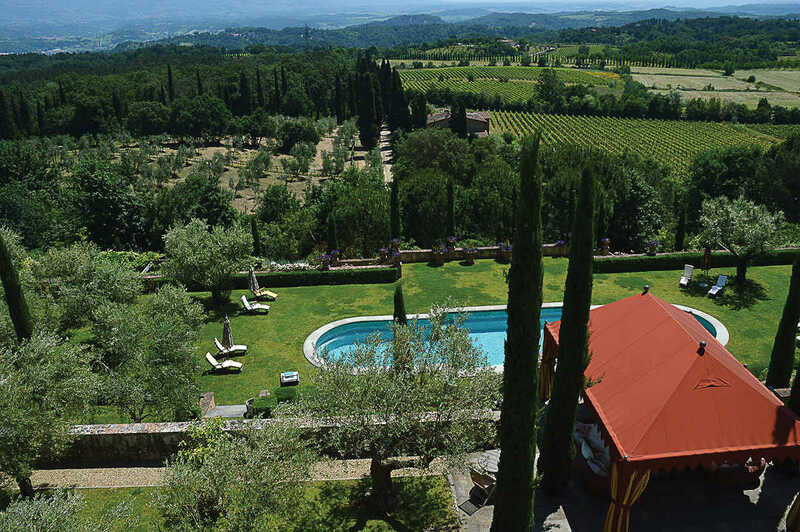 Located in the heart of the Tuscan countryside near the medieval town of Figurine Valdarno, the Villa Il Palagio overlooks a vast 350 hectare working estate which produces wine, honey and olive oil. 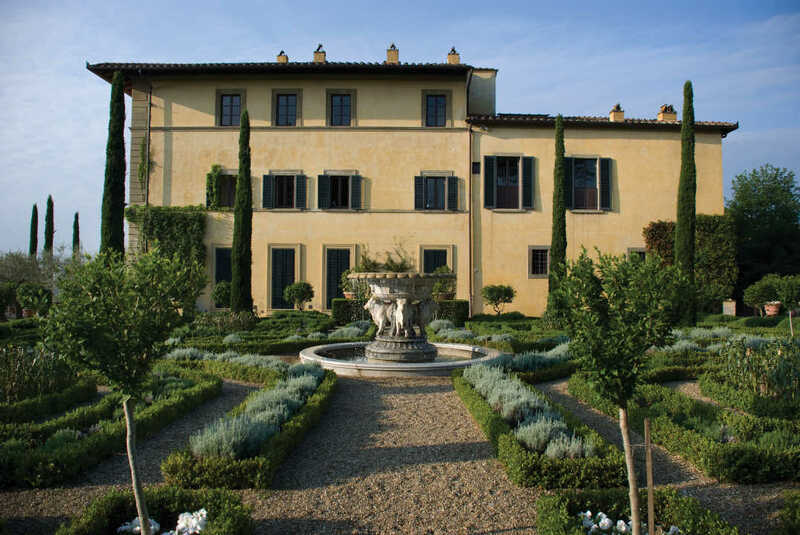 The Italian home of music legend Sting and film producer Trudie Styler has been opened up to the public for weddings, holidays and special events. 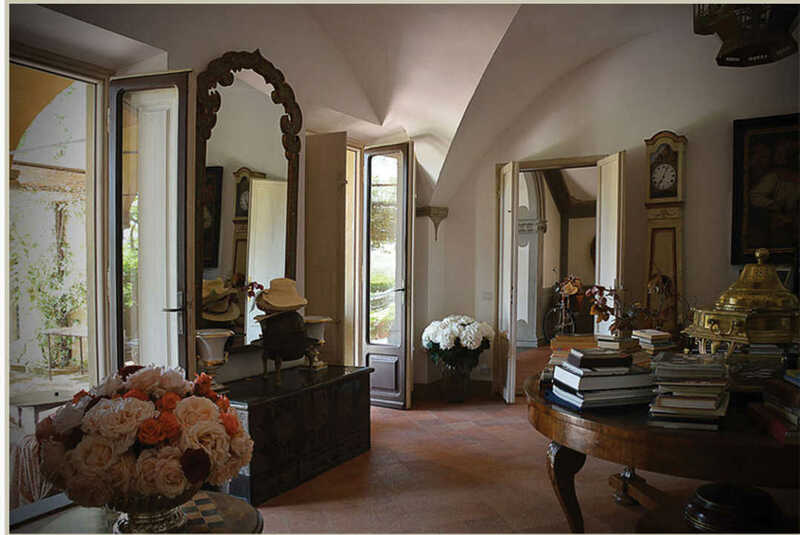 The 16th century villa, former home of Duke Simone Vincenzo Velutti Zati di San Clemente, was bought by the couple in 1999. 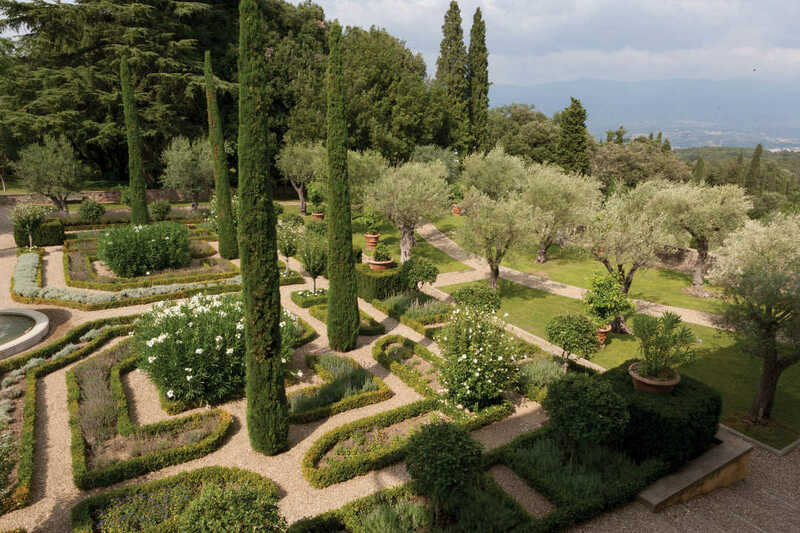 Villa Il Palagio had suffered from decades of neglect from its former aristocratic owners and the couple began revitalizing the property back into a working estate. 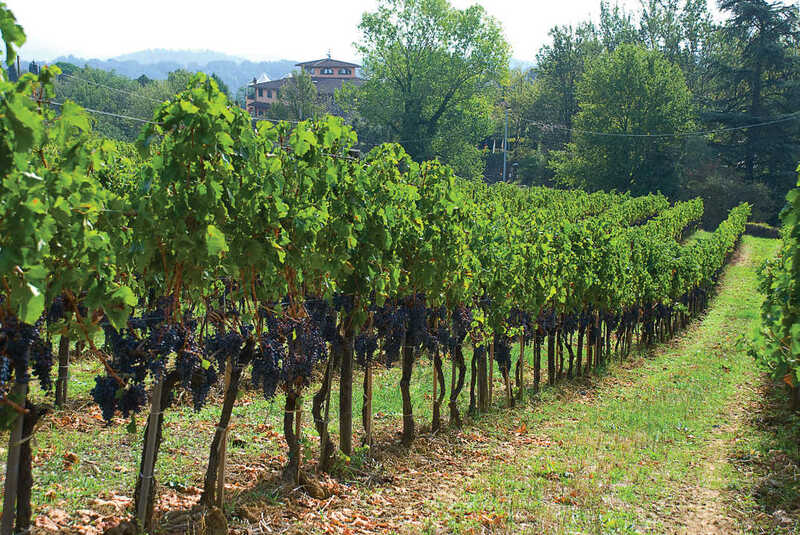 Now producing between 50,000 to 70,000 bottles of wine annually, honey is also cultivated on the estate as is extra-virgin olive oil blended from Leccino, Frantoio and Moraiolo olives. 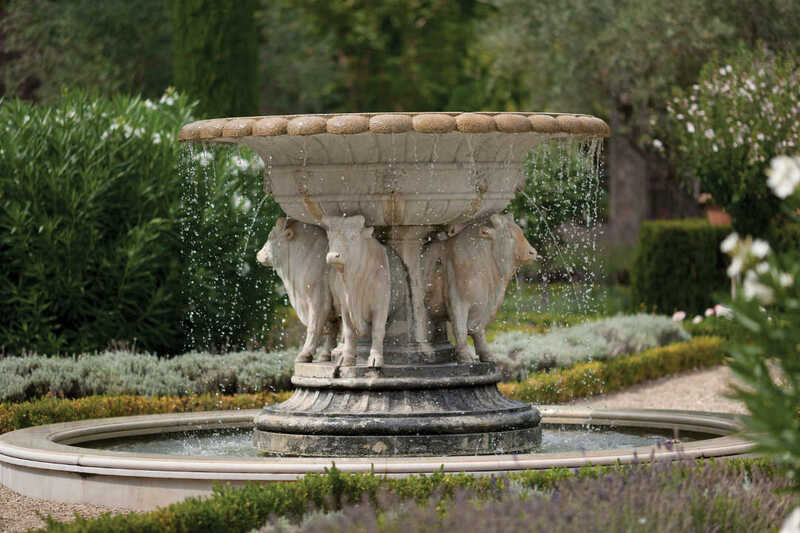 Apart from being a productive agricultural enterprise, the grounds also provides the visitor a jaw dropping panorama of rolling hills, vineyards, oak forests, lakes and Cypress trees which Tuscany is renowned for. 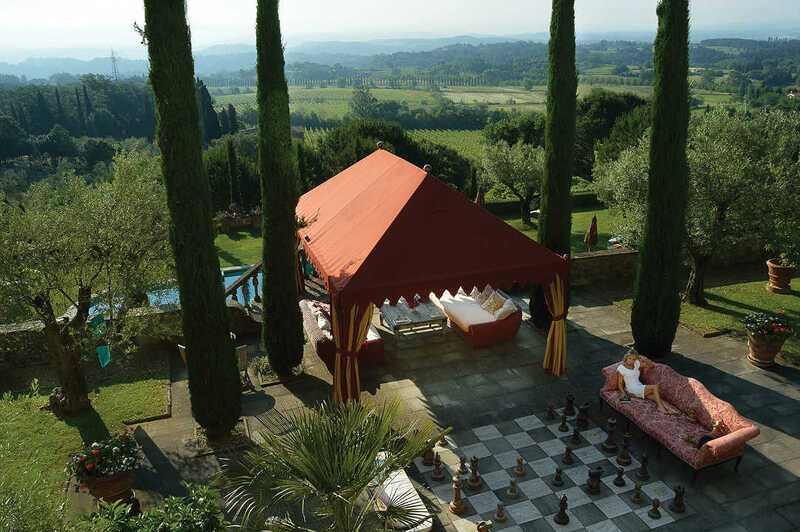 Il Palagio has been the summer retreat for Sting and Trudie’s family and friends for more than 15 years, and has been the setting for many family occasions, parties and private concerts. Since recently relocating to New York City however, the family have been spending less and less time at the Villa and have decided to rent the guesthouses so that others can enjoy it. The grounds have been lovingly restored to provide a haven of tranquility for guests. You will find a cool loggia to relax on during long hot sunny days, a large swimming pool, tennis court, a serene lake for swimming, nearby stables and many beautiful places around the house and gardens to relax and dine. With three separate smaller houses within the grounds of Il Palagio’s main villa, and a further two guest houses nearby, it can accommodate up to 50 overnight guests. Il Palagio has a variety of locations for parties and events, indoors, poolside, in the wine cellar, under the loggia, or on the terrace for al fresco dining. It has a state of the art recording studio, a conference center and is also designed to accommodate yoga classes. Impeccably but comfortably furnished, Villa il Palagio is not only an impressive villa, but it is very much a warm and beckoning home – offering its guests an elegant but extremely comfortable vacation in paradise.